Prolozone Therapy is a permanent treatment for chronic pain. It is natural, non-surgical, and healthy. Ozone is an energized form of oxygen, the second most powerful sterilizer in the world used to destroy viruses and bacteria. Most people know ozone in regards to the “ozone layer” that circles the earth. Ozone (O3) has one extra atom of oxygen than the normal two atoms that we breathe. In short, this natural compound is used throughout nature and benefits mankind. Prolozone is a natural treatment that applies homeopathic oxygenation to damaged tissue. It is like pumping damaged tissue with oxygen so the cells can breathe and repair themselves. 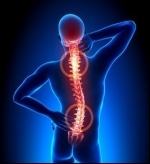 This is an incredible treatment because there is a 75% chance that the pain sufferer will become permanently pain free. Prolozone treats a wide range of injuries from chronic neck and back pain to Arthritis to tendon and ligament tears. Stem Cell Therapy for Knee Arthritis actually adds new cartilage to the joint, which can act as a “shock absorber” protecting your from and removing bone-on-bone friction. Stem Cells are located everywhere in a person’s body and constant regenerate to various types of tissue such as muscle, ligament, tendon, and organ tissue. Stem cells can transform into cartilage tissue when applied to your knee and as such, reverse the degenerative process of Arthritis. You may not need surgery for your shoulder condition, whether it’s an injury like a Rotator Cuff tear or a chronic medical condition like Arthritis. You can utilize the power of stem cells to regenerate healthy tissue and replace and repair damaged cell tissue. The human body is made up of billions of specialized cells that transform into a diverse range of tissue from organ tissue to muscle tissue and these cells are now being applied to shoulder injuries to heal injuries that once required surgery. Sometimes, a foot condition doesn’t seem to heal or you are recommended to go for invasive surgery. Fortunately, Platelet Rich Plasma Therapy or PRP Therapy for the foot and/or ankle provides a safe and effective alternative to surgery or a way to speed up the recovery process. Arthritis is a common condition where the cartilage tissue between a joint or joints breaks down causing painful and inflammatory bone-on-bone friction. When this occurs, people suffer from disability and frequent pain that disrupts normal day to day life. One of the most recommended forms of treatment is joint replacement surgery since there isn't a known cure for Arthritis. Most people suffer at least one or two knee injuries in their lifetime. This could be an ACL, MCL, LCL, or meniscus tear. 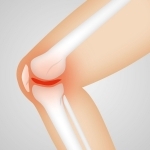 Other common knee problems include Arthritis or Tendonitis to name a few. Sometimes, these injuries fail to heal fully and cause great pain and disability over a long period of time. Other times, doctors recommend surgery for a knee injury. It seems like we all have some acne scarring and an incredible way to relieve this tissue scarring is with a PRP Facial. Platelet Rich Plasma or PRP provokes a natural healing response in the skin allowing for new cells and tissue to develop and replace dead scar tissue. The result is a percent decrease in acne scarring after just one treatment. Then, as this works, separate treatments can help further decrease acne scarring.